In this article I will setup Android WebRTC streaming to RPI-WebRTC-Streamer running on my Raspberry PI Zero W, to talk to each other. 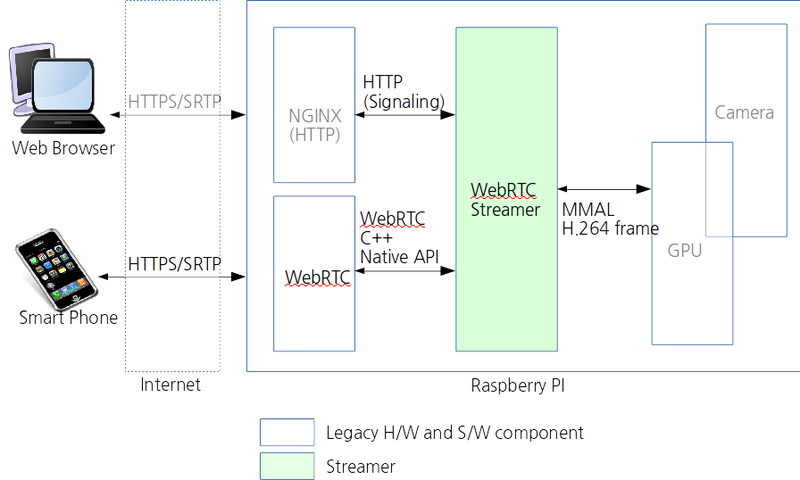 Here is the architecture of RPI-WebRTC-Streamer. Now why do we use WebRTC instead of directly streaming audio/video through a socket from the Raspberry PI to the Android device ? It is helpful to understand how WebRTC works under the hood and how a connection is established. Step 3: P2P connection: once the ICE candidates are exchanged through the initial signaling channel each peer is aware of each other’s ip:port (and holes have been punched in NATs/routers) so a peer to peer UDP connection can be established. 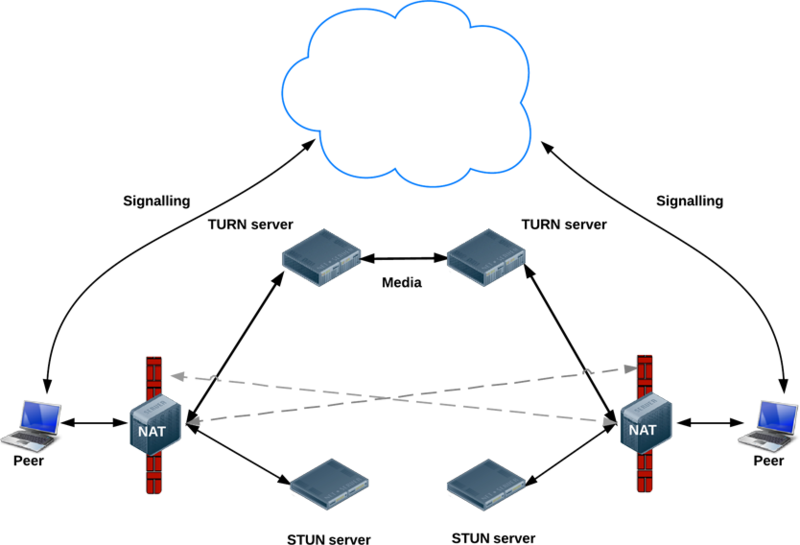 Step 4: If a P2P connection can’t be established ( maybe through firewall rules or the usage of Symmetric NAT ) then TURN servers can be used, which will relay the data between the peers. Please note that this will require the TURN server to receive and send all video and audio and is the last resort in WebRTC. Under normal circumstances you would establish the connection between two web-browser. However in this case I need to establish Android WebRTC streaming to the Raspberry PI Zero W. Fortunately we have the required tools and libraries available on both platforms and can take full advantage of this technology stack. 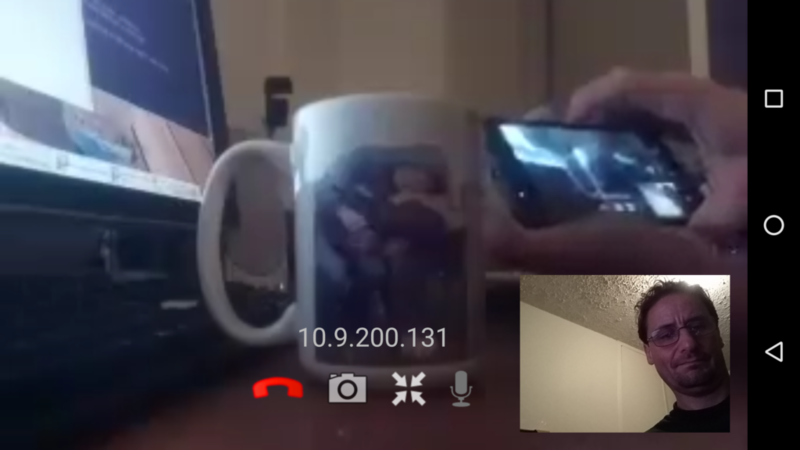 This allows us to basically build a video conference similar to skype between the Raspberry PI and Android. As an aside, iOS can also handle WebRTC, which may be a project for later. Lets first make sure you have the RPI WebRTC Streamer setup, as explained in my previous post. Then you have to install ADB onto your computer to be able to transfer the App to your Android phone. Next get the source code for RPI WebRTC Streamer from github and install it onto your phone, like so. Finally, here is the article from mpromonet if you ever feel like compiling rpi-webrtc-streamer https://www.raspberrypi.org/forums/viewtopic.php?t=186271. Hi, I have a question. Can we still use that method even your Pi and your android app use different wifi? For example: you want to see your Pi camera in you home but you are in somewhere else( your school – which is also have networks) ?? It will work? If not how can i do it?